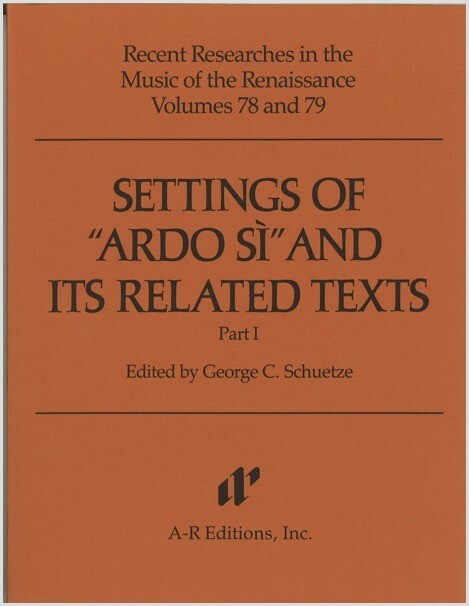 This edition offers material for a study of the relationship between poetry and music: all sixty-one extant musical settings (published between 1583 and 1678) of Guarini's poem "Ardo sì, ma non t'amo" and all thirty-four known settings of poems directly related to "Ardo sì," the most important of which is Lasso's risposta "Ardi e gela à tua voglia." Thirty-one of the "Ardo sì" settings are located in the anthology Sdegnosi ardori (RISM 1585/17), which is edited here in its entirety. For the twelve compositions that survive in incomplete sets of partbooks, missing voices have been editorially supplied. Several of the composers represented in this edition appear for the first time in a modern publication.